1. A gas is produced. 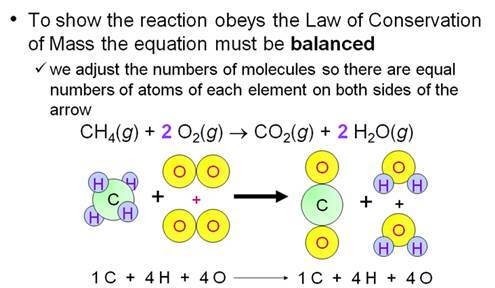 Gas may be observed in many ways in a reaction from light fizzing to heavy bubbling. 2. An insoluble solid is produced in a solution. a. A substance dissolves in water to give an aqueous solution. b. 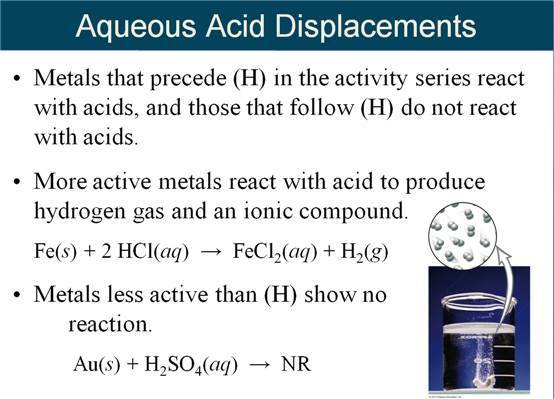 If we add two aqueous solutions together, we may observe the production of a solid substance. 3. A permanent color change is observed. a. Many chemical reactions involve a permanent color change. a. A reaction that releases heat is an exothermic reaction. b. 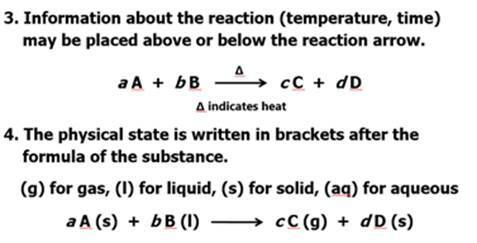 A reaction that absorbs heat is an endothermic reaction. 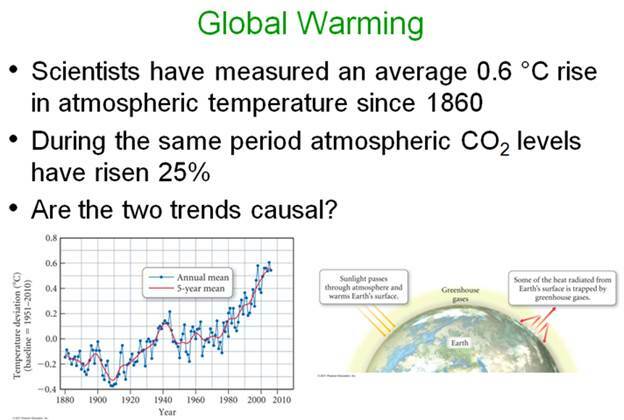 c. Examples of a heat energy change in a chemical reaction are heat and light being given off. 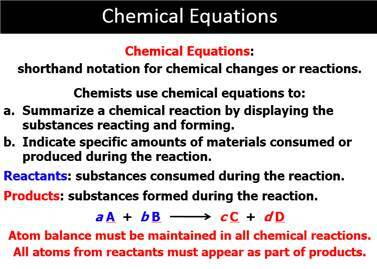 What are reactants? What are products. What does the arrow between mean? 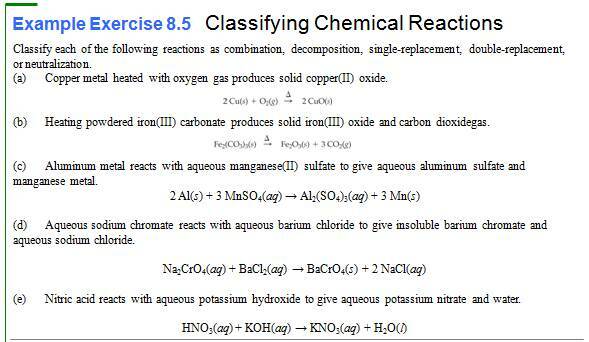 How do we indicate the phase of the chemical? 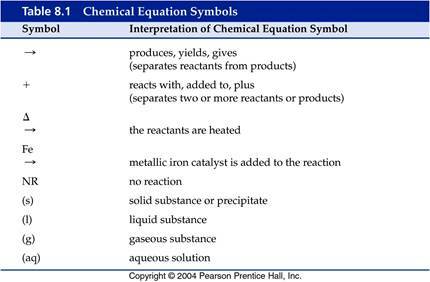 Look at Table 8.1 below summarizes the symbols of a chemical reaction. 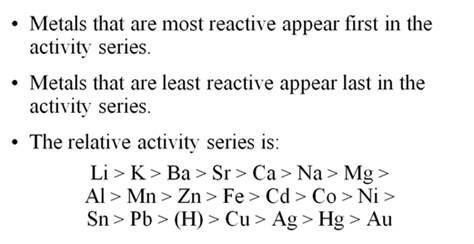 To start let’s look at 4 five types of reactions: Combination, Decomposition, Single Replacement, Double Replacement, and Neutralization reactions are introduced.. 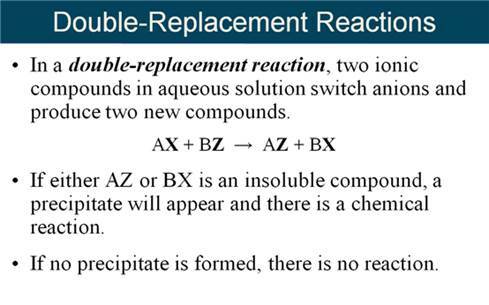 When predicting the products of a double replacement reaction, sometimes one of the products instantly decomposes. 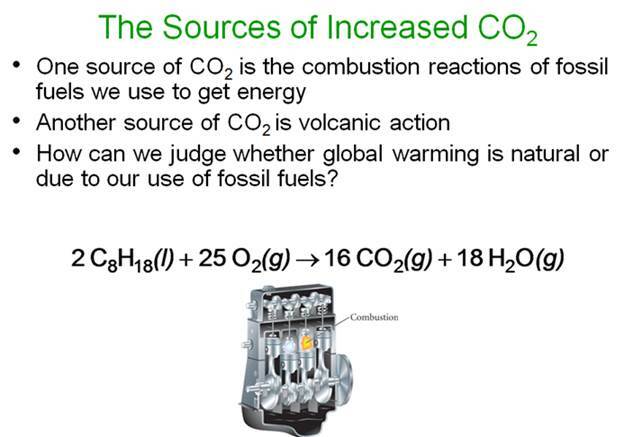 Combustion – a substance burns in the presence of oxygen. 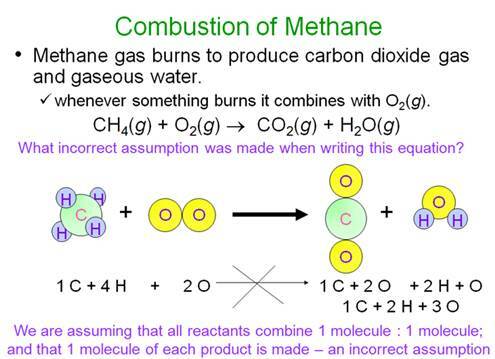 Combustion of a compound that contains C and H (or C, H, and O) produces carbon dioxide gas and water. 10. 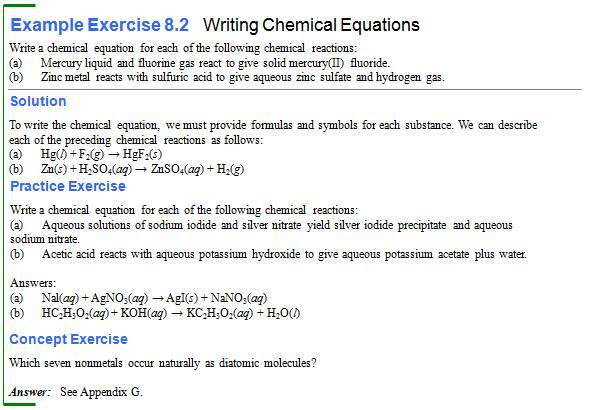 Write a chemical equation for the reaction of aqueous solutions of potassium chromate and calcium sulfate to give the precipitate calcium chromate and aqueous potassium sulfate. 12. 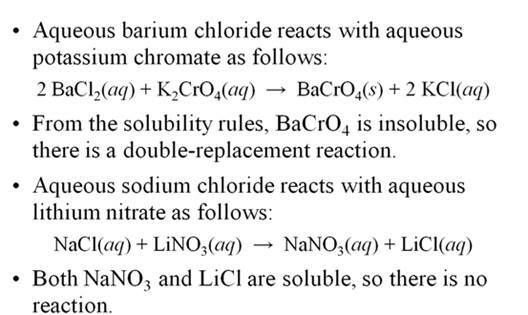 Write a chemical equation for the reaction of aqueous solutions of potassium chromate and lead(II) nitrate to give the precipitate lead(II) chromate and aqueous potassium nitrate. 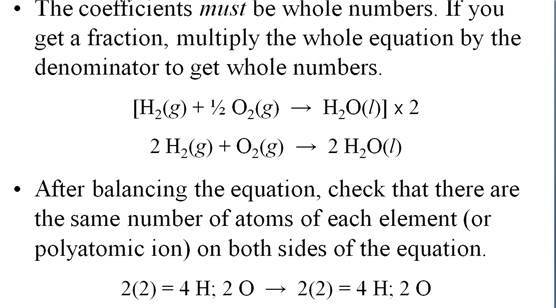 1) The same # and type of atom must be present on each side of the equation. 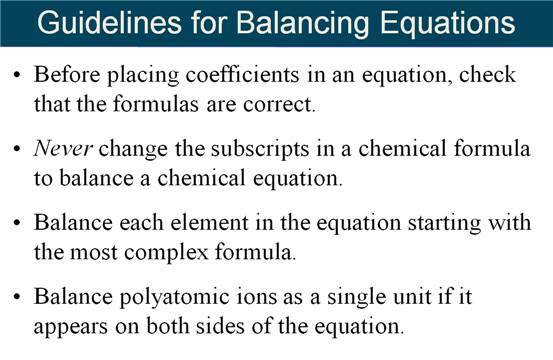 2) Balancing is accomplished by adding coefficients. NEVER change the subscripts. 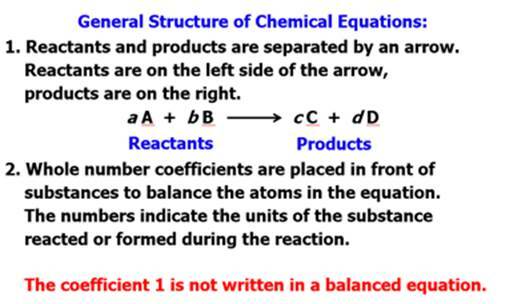 3) Coefficients must be in the smallest whole # ratio. 4) Balancing is done by trial and error. 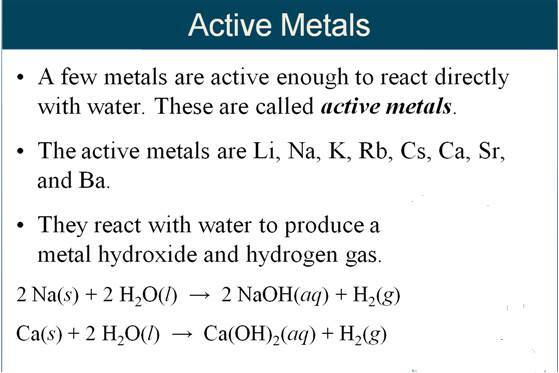 5) Usually Balance H’s and O’s last or an element that appears in more than one place of either side of the reaction . 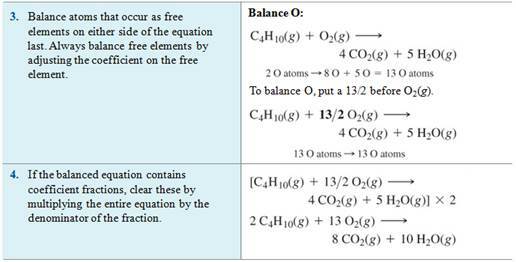 6) Balance polyatomic ions as one unit in Ion Exchange reactions. 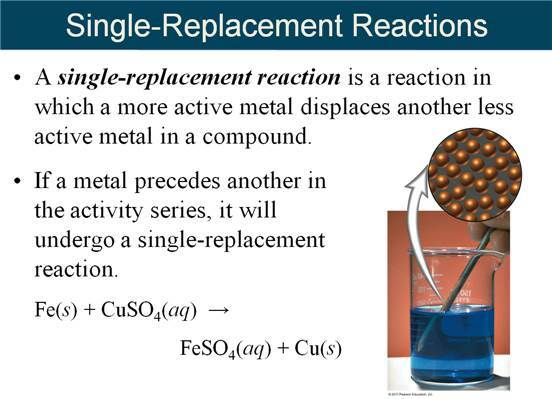 The rule to follow is a single replacement reaction takes place only if the metal or (H) is more active than the metal or (H) it is replacing. Li will react with everything, while Hg will replace only gold. 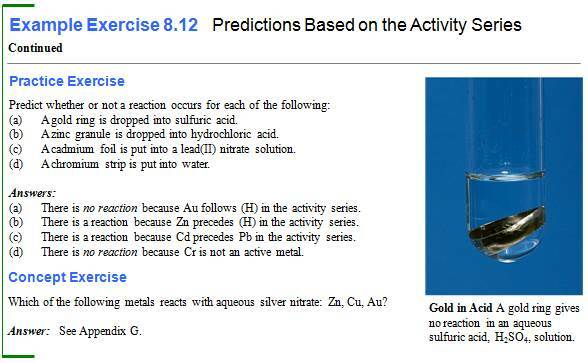 And poor gold does not react with any of the cations of metals. 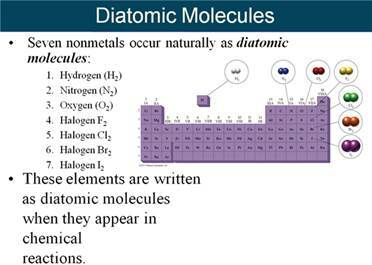 Therefore gold is found pure in nature, while the very active metals such as potassium and sodium are never found pure in nature, but are found as minerals (ionic compounds). 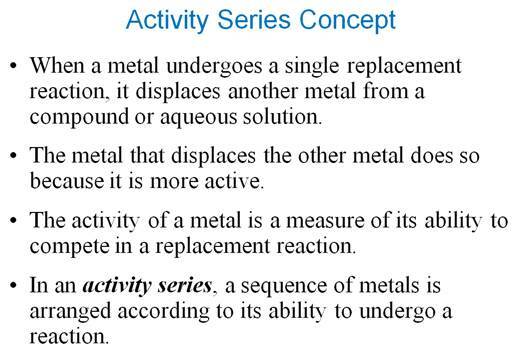 The six very active metals are so reactive they will replace one of the two hydrogens in water and form alkaline hydroxides as products. 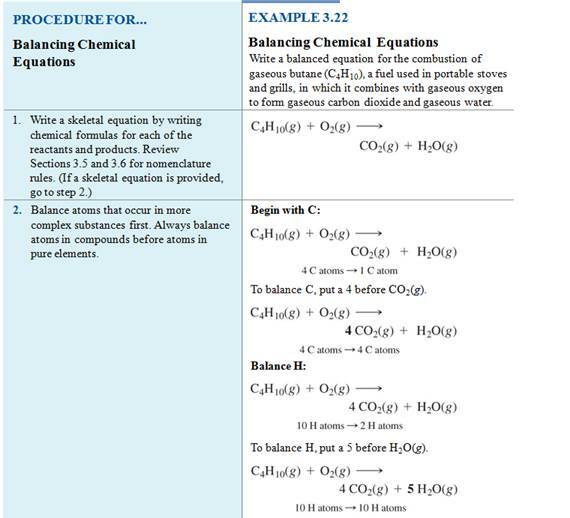 Hydrogen gas will bubble out of the solution. See some of the above movies for demonstrations. decomposes thus demonstrating a gas forming reaction. 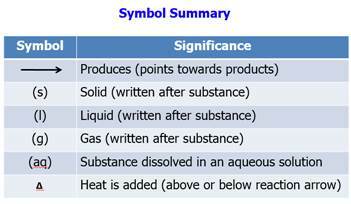 decomposed products of the gases and water in the answer.